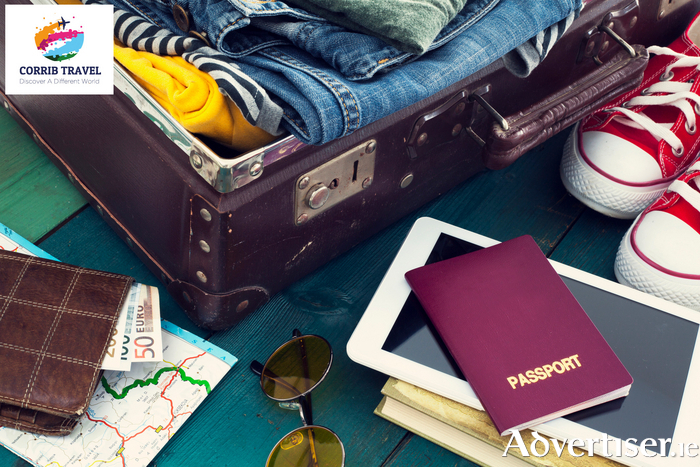 With your flights and hotel booked, the luggage is the last thing stopping you from that great holiday. On your trip you'll meet two kinds of travellers: those who pack light and those who wish they had. We know it feels like a chore, but if you follow our expert packing tips you’ll never have to worry. Ok, so it sounds a little boring, but idiot-proof lists are the gateway to a stress-free holiday. We’re not asking you to prepare for ER, just a small bag with the most necessary pills and medicine you might need. Unless you’re an international man of mystery, you shouldn’t have to worry about travelling incognito. Pack clothes in groups: that means shirts with shirts, pants with pants -it’s easier to find what you need and unpack on the other side. Depending on where you’re going, weather forecasts are either your holiday’s best friend or biggest foe. If you believe that a particular thing can be useful to you very soon (perhaps at the airport ), for example, a jacket – put it on top. Very obvious advice, but perhaps it’s so obvious that you’d be bound to forget otherwise! This penultimate tip is a big one as, without these necessities, you won’t be heading anywhere but home: check and check again that you have your monies, a valid passport and – for the sake of your holiday companions – a toothbrush. Keep these all on hand and then you’ll be able to remember the most important thing…Enjoy your holiday!